Stay tuned for more photos and images from Santa Cruz’s foodie past. Many images below are from the Agricultural History Project archives, meticulously organized by their dedicated staff. We owe much of our information to this organization. 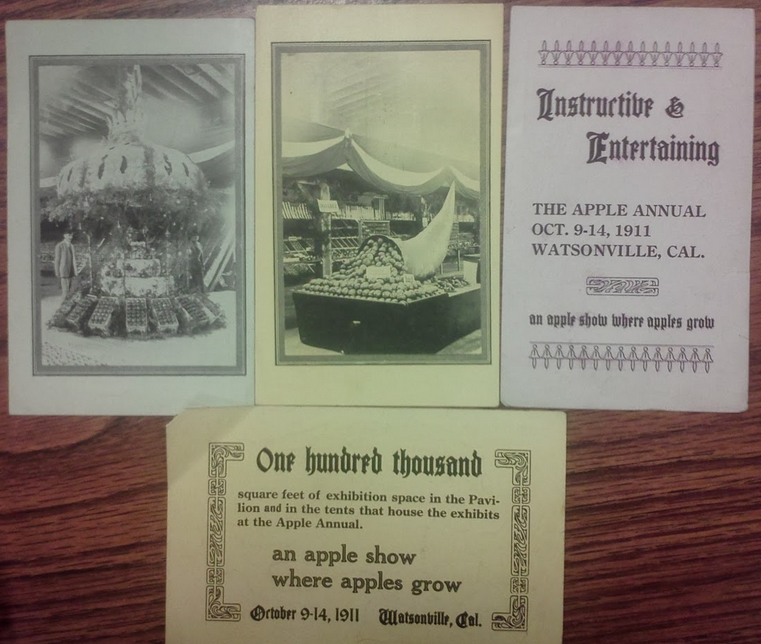 Consider visiting their exciting collection at the Santa Cruz Fair Grounds. We have also used some from the Santa Cruz Public Libraries Photo Gallery. This is an online resource of incredible pictures and postcards from Santa Cruz’s past. 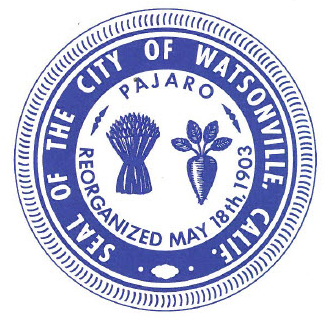 A gem we discovered early on: The Watsonville City Seal displays a sheaf of wheat and a sugar beet! 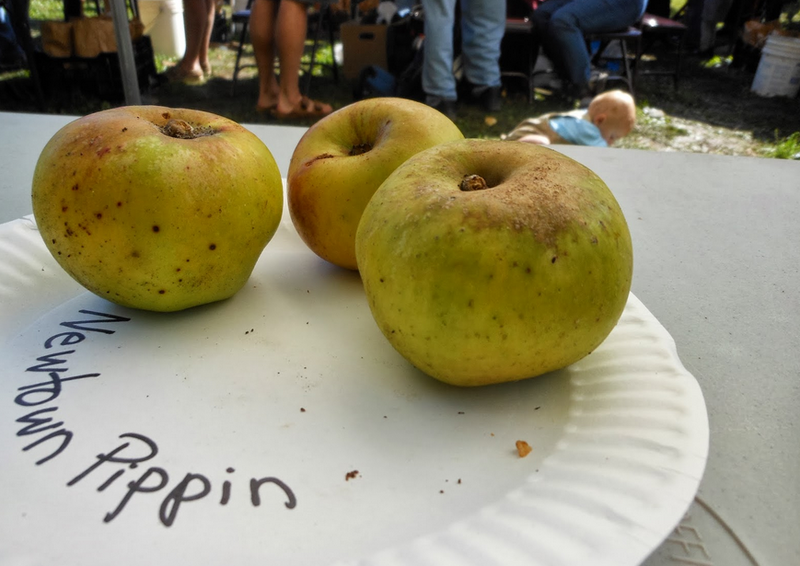 These crops had their heyday in the Pajaro Valley in the 1800’s. Today’s seal could have a strawberry and an apple, don’t you think? 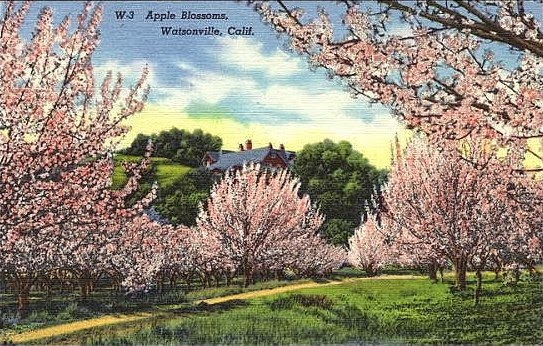 Postcard featuring Watsonville Apple Blossoms, date unknown copyright 2000, 2001, 2002 Santa Cruz Public Libraries, California.